Curator Lieselore Maes: “In these compositions architectural objects can be touched and imagined. They are not only heard but also felt with the entire body, creating the experience of an architectural walking tour while standing still. 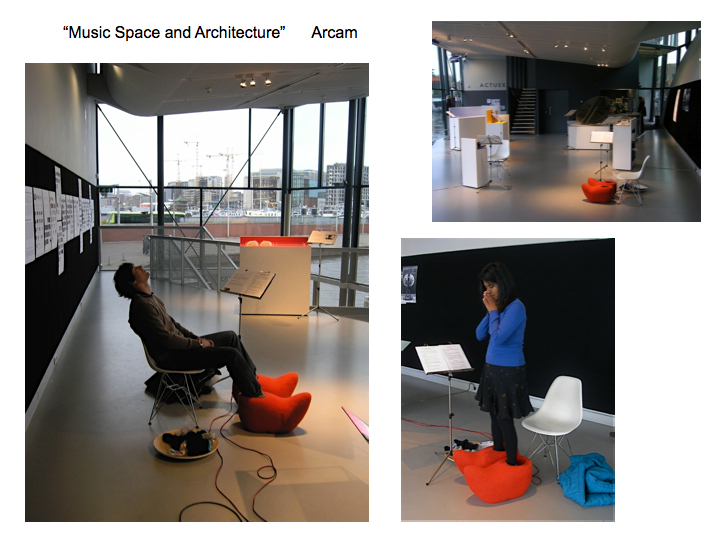 The “space” created by the physical experiences is referred to by the artist as “sound space”. The “floating sound shoe scape” a relaxing and refreshing touch soundscape composition with harbour sounds, water, floating objects and musical instruments was popular. It was perfectly fitting the view of the IJ harbour, outside the big glass windows. 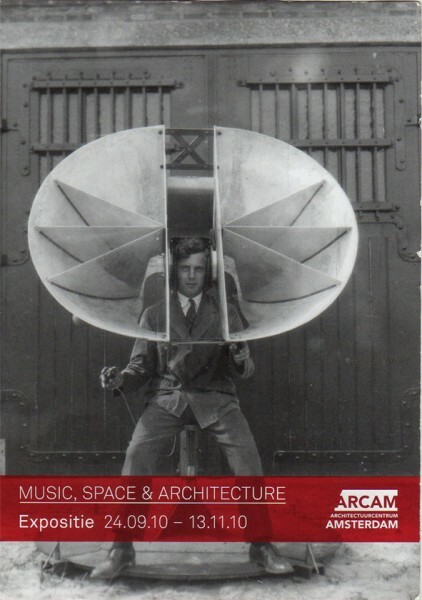 Beside that the visitor could also experience more architectural, imaginative or narrative sound spaces.